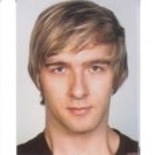 Andre Hagemeier is an IT Specialist for WebSphere Portal and Connections. He has been working with Portal and Connections for 6 years delivering many successful customer portal implementations and migrations. His specialty lies in the extensive customization and extension of the product behavior to suit the clients’ needs. In addition, he has deep knowledge of the underlying application server architecture and functioning and the Java runtime itself. Recently, Andre has focussed in NodeJS, AngularJS, Express and Mongo development (MEAN stack). He is the core developer of the Bosch crowd funding solution.